It has been a great year for Danish metal. With notably excellent releases from VOLA, møl and BAEST, it is clear that the country’s underground metal scene is thriving and getting an increasing amount of attention internationally as well. 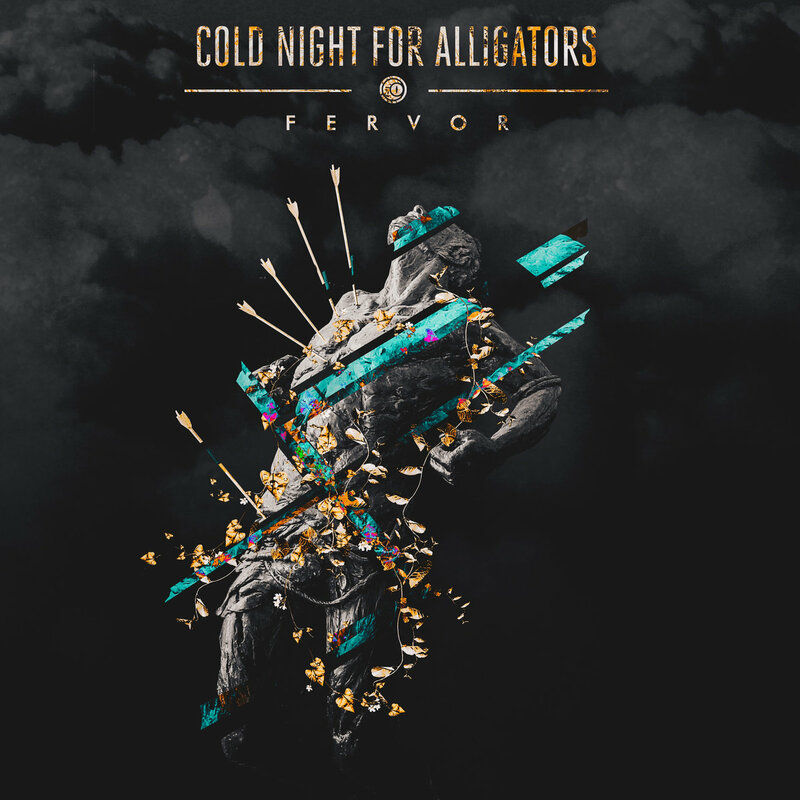 But the best has been saved for last, it seems, as the anticipated sophomore album from the tech-metallers in Cold Night for Alligators has finally arrived. Their début record, ”Course of Events”, was the first release with the then-newly-added vocalist Johan Pedersen, and while definitely being a fine piece of modern progressive metal, it could also be classified as somewhat lacking a clear direction at times. Back then our writer AP noted that: ”... it is safe to wager that the best is yet to come from Cold Night for Alligators”, and I am here to tell you: he could not have been more right. This lack of direction has all but disappeared on “Fervor”, a thing I noticed immediately after the first spin of the record. The album has a much stronger focus on melody and catchiness and in the process, it becomes a way more approachable record. That is not to say that the wacky guitar riffs, wild key changes and heaviness have disappeared though, of which the introductory track “Violent Design” is a perfect example. On initial impression, the track sounds like a techy djent-fest and completely like the Cold Night for Alligators we know, with its heavy chugging and noodly guitar parts, only to quite drastically change in mood around the halfway point, evolving into a soaring, harmonic chorus with guest vocals from Siamese frontman Mirza Radonjica-Bang (who makes a cameo more than once on this album). It is also immediately obvious that the vocal performance of Johan Pedersen has nothing but improved in both spectrums of his style. His screaming and yelling still sound like he’s on the verge of ripping apart his vocal chords from sheer aggression, and his cleans have become even more dynamic, ranging from soft emotive passages, where he sometimes almost sounds on the verge of tears, to powerful, epic melodies. “Violent Design” thus seems like the perfect opener, as it shows the transformation the band has gone through — from the ridiculousness of the first part, to the almost poppish sensibilities of the second part. And while the sudden change of mood might sound grating to some, I just think they’ve somehow made it work, delivering a wholly unique track. The production this time around also sounds warmer and levelled, with room for every instrument to breathe, though I would’ve preferred some more gain to the guitars at some points, but I think that’s a matter of taste. This new, more straightforward approach is then carried on into the next two tracks, “Drowning Light” and “Canaille”, the former being one of my favourites on the album, containing one of the most infectious choruses of the year. It is just a straight-up fantastic progressive metalcore banger that has been stuck in my head for weeks now, and I am sure this one will be a crowd favourite to sing along to in the live setting. The instrumentals walk a fine line between technicality and accessibility, with big chords to elevate the choruses and moody, reverb drenched clean passages in the verses, which keep it interesting and engaging to listen to, while at the same time making it insanely catchy. And this last point can be said for the majority of the songs here: “Get Rid of the Walls”, with its synth-ey, groovy, bass-focused verses and another stunning vocal performance from Pedersen; “Coloured Bones”, which contains some really interesting chord progressions and a pitched-scream chorus; and “Soulless City”, featuring none other than Andreas Bjulver Paarup of CABAL in the absolutely brutal verses of Vildhjarta-esque bends and noises. The R&B-ish chorus in that song is admittedly one of the only points on the album where I get a bit bored, as it gets just a bit too repetitive and simple for my liking and pales in comparison to some of the other strokes of genius found across the record. And then there is “Black Swan” — arguably the best song on the album — in which everything Cold Night For Alligators do well culminates in a brilliantly written song, mixing sounds all the way from the chaos of The Dillinger Escape Plan, through the droning, djenty atmospheres of TesseracT, to a bouncy chorus worthy of a Disney movie (I might’ve stolen this quote from Mirza Radonjica-Bang of Siamese). It’s jazzy, it’s heavy, and it’s insanely catchy — this track simply has everything. But I also think the band has nailed the more mellow, somber tones of their music, which is notable in tracks like “Nocturnal” and “Infatuated”. The former contains one of the most chilling outros on the whole album, with Pedersen alternating between gut-wrenching screams and defeated cries, sounding like he’s being drowned in darkness, with the lines: “Hold your breath for a minute now. Don’t let the silence bring you down.” Then there’s the highly surprising last track of the album, “Infatuated”, which includes some amazing groove drumming in the intro, while sad, cinematic pianos and huge sounding synths chime on top, giving me some quite clear Muse vibes, with no actual guitars being played — which I did not see coming. Once again, Pedersen knocks it out of the park with some more chillingly emotional vocal lines, but if I had to give it a slight criticism, I believe the track leads you to believe that we are gonna get one last explosion or a wall of sound as an ending, where the track really just kind of ends. I am a huge sucker for massive-sounding final songs, so maybe it just caught me off guard, but it is for sure a bold way to end this fantastic album. “Fervor” represents some of the most interesting, most singalong-friendly, most genre-defying metal I’ve heard come out of Denmark since VOLA’s début album, ”Inmazes”. 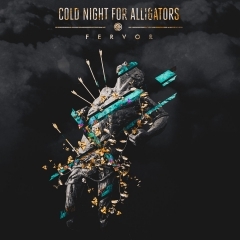 It is a testament to the ever-evolving technical and songwriting ability of this band, and I feel like Cold Night For Alligators have finally nailed their unique sound this time around. 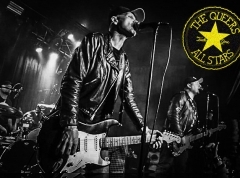 It shows a band in absolute top form and includes one banger after the other, and I cannot wait to see where it will take them and what their future releases will sound like. They deserve the praise of the world, that’s for sure.